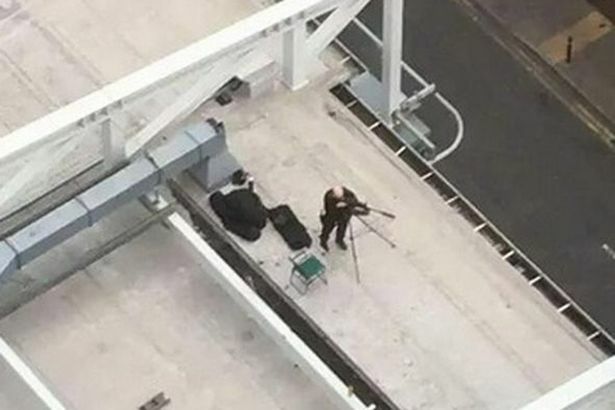 Why did the Tories need G4S when they had police marksmen on Manchester rooftops? Am I in the Twilight Zone? Have I arrived on an alternative-dimension planet Earth? Monday at the Conservative Party Conference was just plain weird. Surreal even. We had the tasteful experience of the Health Secretary and public-sector-plunderer-extraordinaire, Jeremy Hunt, telling everybody what a great idea it is to cut tax credits because it will make people work like a slave-labour force in Communist China. We heard the Tories getting their underwear in knots about the security practises of Group 4 Securicor… G4S has a startling history of blunders, such that any intelligent Government would normally run a mile before awarding it a contract. It therefore goes without saying that the present Government keeps awarding it contracts, and the Tory Party also keeps using G4S to provide security at its Conference every year. It could allow the police to sort that side of things out, but that would mean depending on the public sector when there is a private sector option available, and, well, that is just not an option, is it? In the evening, Jeremy Corbyn addressed the public outside Manchester Cathedral without any barriers at all, and with just fifteen minutes’ work, he dominated the day – during the Conservative Party Conference. Here’s a point: If the Tories hired G4S to handle security at their conference, why were there police marksmen at the public march/demonstration against them on Sunday? I think G4S were in charge of security at the Midland Hotel and the Conference Centre. The police were in charge of security in the streets. (In fact, it was perfectly possible to do that already, due to the presence of police marksmen on rooftops during the march on Sunday). Well yes, just the fact they had rifles was overkill. Half the policemen on the streets had semi-automatics as well. It was like they were expecting Cromwell and the Roundheads to come galloping along Whitworth Street. I am in a permanent twilight zone…..
if its true it would explain a lot. He did. I’m not sure whether he still does. is there any way of finding out if he is ? they are in charge of political prisoners who are being tortured. Proves what utter contempt and the tories have for its people, this was overkill and then some! the same company,and also the fact that he is/was a director of the company ?